currently edited by John Metcalf, is my story “Addresses.” It appeared originally in the admirable online journal www.foundpress.com, which is dedicated to short fictions. 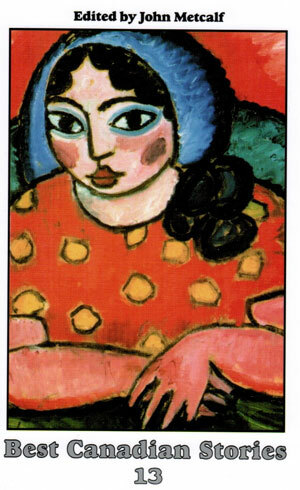 Oberon Press has published BCS for many years, always featuring original art on the cover; 2013’s is by the Russian expressionist Alexej van Jawlensky, part of Germany’s Blaue Reiter group. Earlier on, my story “Miss Pringle’s Hour” appeared in BCS for 1997, “Religious Knowledge” in 2001 and “Learning to Dance” in 2008. The 2013 volume has unusual features, both of which please me. First, all the writers except one are women. Second, although the book includes a story each from Clark Blaise, Patricia Robertson, and Caroline Adderson, all established writers, the rest of the authors are new-ish or new. Some have a first book, some a few magazine appearances — and there are even two for whom BCS is the first appearance in print! An exciting edition, this is. It’ll be interesting to check back in a few years and see which “new” names have become familiar.